Smail Honda has been part of the "family owned and operated" Smail Auto Group since 1972; starting with the Honda Motorcycle franchise, then adding the complete Honda vehicle franchise in 1976. Throughout the years, we have continually been dedicated to exceeding our client's expectations and providing quality sales and service to Western Pennsylvania, West Virginia, Ohio and beyond. Located along Route 30 in Greensburg, we offer the complete line of new Honda vehicles, including the Accord, Civic, CR-V, Fit, Odyssey, Pilot and Ridgeline. In addition, we carry an extensive selection of pre-owned vehicles, backed by our exclusive "Platinum Plus Program" that features a 6 month/6,000 Mile Limited Warranty and a 124-point vehicle inspection. We also have Honda Certified Used Cars that boast an extended warranty, 150-point inspection and much more! Providing first-rate service and maintenance is also an integral part of our business. We are pleased to offer a state of the art Service Department, with knowledgeable, Honda-trained technicians and service advisors. Our Service Department is committed to assuring that your vehicle is always performing at its best. 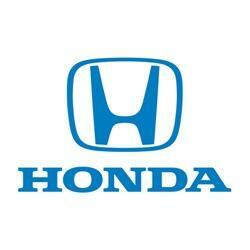 In addition, we have a top-quality Parts Department, providing Genuine Honda Accessories and Parts. Whether you are purchasing a new or pre-owned vehicle, or servicing with us, our number one priority has always been complete customer satisfaction. We are honored to be continually ranked high by you, our valued customers. Smail Honda also places great value in our community. We have supported numerous local charitable organizations over the years and look forward to continuing to support these important causes that strengthen our community.